Maserati has chosen the 25th Goodwood Festival of Speed for the World Premiere of the V8 Maserati Levante GTS. 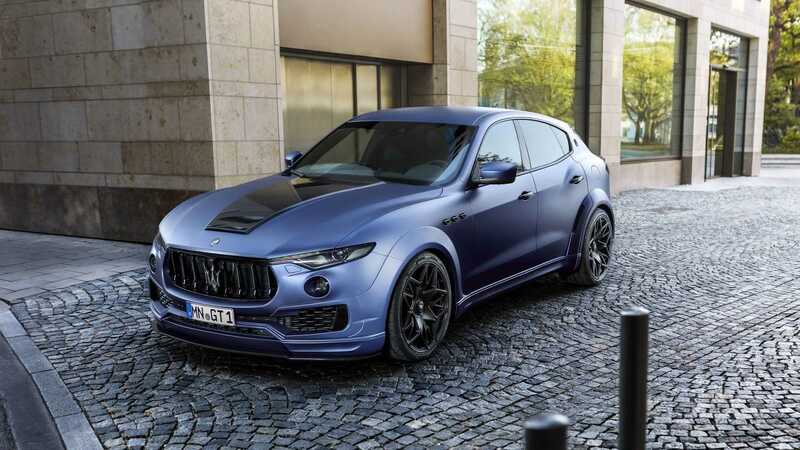 The Levante GTS Twin Turbo V8 maintains the V90 architecture of the Ferrari-sourced 3.8-litre unit fitted in the flagship Quattroporte GTS but has been re-engineered to work with the Q4 Intelligent All-Wheel Drive System and returned to deliver 550hp and 730 Nm peak torque. 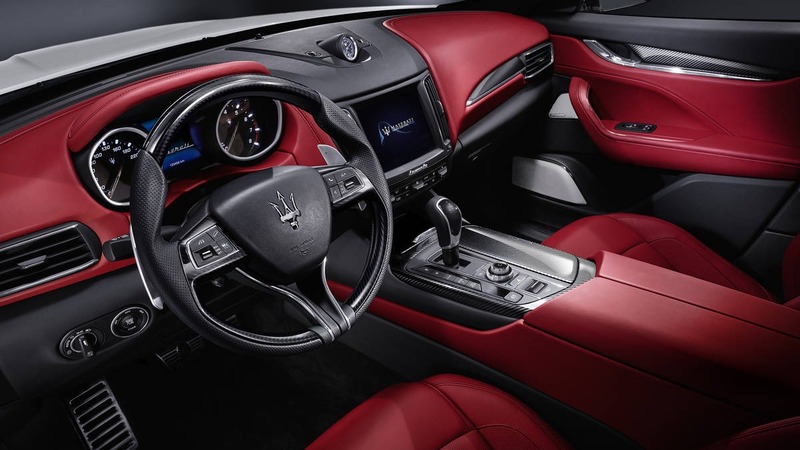 Like all Maserati petrol engines, this V8 is assembled by Ferrari in Maranello.Thanks to its remarkable weight/power ratio of 3.9 kg/hp the Levante GTS takes only 4.2 seconds to reach 100 km/h, while its top speed is 292 km/h – performance figures of a modern supercar disguised in a high-end SUV body. The diesel-powered Levante that’s on sale in India is powered by a 3.0-litre V6 engine that makes 275PS of maximum power. This lets it hit the 100kmph mark from a standstill in 6.9 seconds, slower than the petrol by 2.7 seconds. 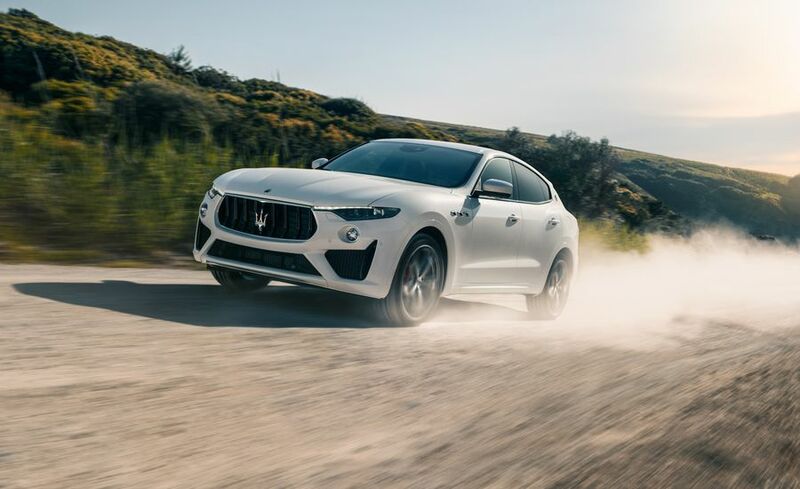 The rigid and perfectly balanced Levante chassis has been tuned to effortlessly handle the immense power of the GTS engine, providing a driving experience true to the “Gran Turismo” pedigree of this new V8 Maserati of SUVs.The Levante’s unmistakable design embodied a new level of sportiness in the Trofeo version and the new GTS has adopted a similar styling theme, which focuses on the lower front fascia and the rear bumper, achieving a sporty yet sophisticated look.Interior designers have come up with elegant ideas to create a distinctive environment within the Levante GTS cabin providing it as standard with standard Full Premium leather or full-grain Pieno Fiore natural leather as an option, sport pedals and Harman Kardon Audio system with 14 speakers. The Italian luxury vehicle manufacturer will launch the Levante GTS in India by the end of 2018, the company said in a statement. There are three Maserati showrooms in India: in New Delhi, Mumbai and Bengaluru. Already the diesel variant of the Levante is available in India in three variants: standard, GranSport, and GranLusso, with the base price starting from around Rs 1.45 crore. Expect the GTS to be more expensive than the diesel-powered variants.